CHEMILES treats groundwater to the drinking water level without the use of chemicals. 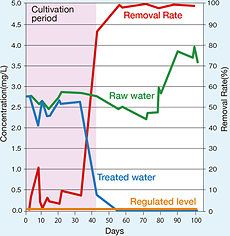 4 times faster than typical chemical treatment system. Cost for chemical and personnel of chemical control is unnecessary. Our patent technology “WP Washing” is automatically controlled by programming. 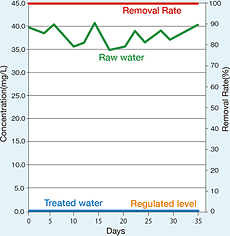 Typically, no adjustment is necessary for changes in raw water quality (seasonal etc.). 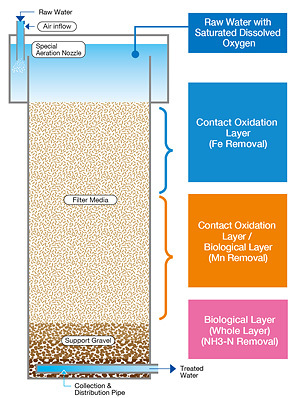 Sand filter media can be used semi-permanently. No industrial waste from use of chemical is produced. 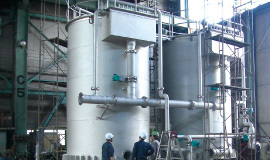 No chemical residue provides safe and reliable drinking water, as well as easier application to industrial water. W(Whole) Backwash is an intensive backwash to entirely clean filter media. 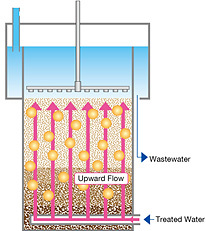 W Backwash is operated at an optimum frequency to avoid damage to the catalytic manganese dioxide and biological films formed onto the filtration sand. P (Portion) Backwash is for cleaning of upper part of filter media (iron removal layer), which is at 100~400 mm from the surface. Data Shows the Outstanding Performance of CHEMILES! *The period until nitrification by nitrifying bacteria and formation of catalyst membrane (e.g. manganese dioxide membrane) deliver the required performance. “Non-chemical injection”, “biological treatment” and “extremely high speed filtration” are the remarkable features of CHEMILES and the key factor for its successful production of safe and reliable water. Outdoor Column Type can be installed outdoors and in limited space, and is commonly used in commercial facilities for food processing, linen industry, hospitals and so on. Open Top Type is the original design of CHEMILES and has been installed mainly in domestic water purifying plant. 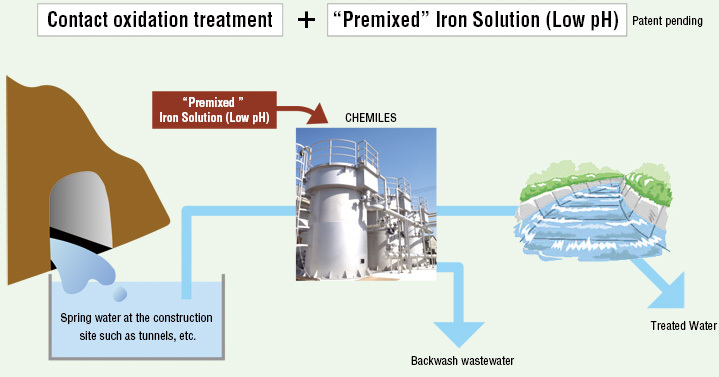 CHEMILES is grand sum of NAGAOKA’s water treatment technology and has been performing high treatment capacity in an environmentally conscious manner. Our rich experiences are contributing to sustainable water supply. CHEMILES Reinforced Concrete Type is suitable for large-scale water treatment plants which require economical solutions. The first installation was in China and the demand of Reinforced Concrete Type is increasing not only in China but also among Asian countries where the needs for “clean water” is rapidly glowing. High-speed treatment sharply reduces system foot print, hence reduces initial cost. 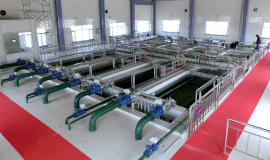 Efficient arsenic removal method cut down chemical usage of the conventional technology to 1/3 to 1/10. 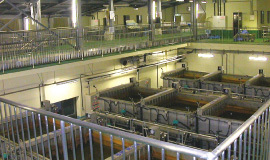 Automatic operation enables no chemical management and simple maintenance. 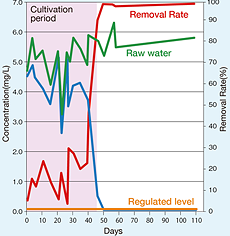 By reducing usage of chemicals, less sediments and sludge are formed during the treatment. 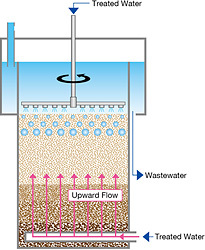 Waste is only from sludge in backwash wastewater.